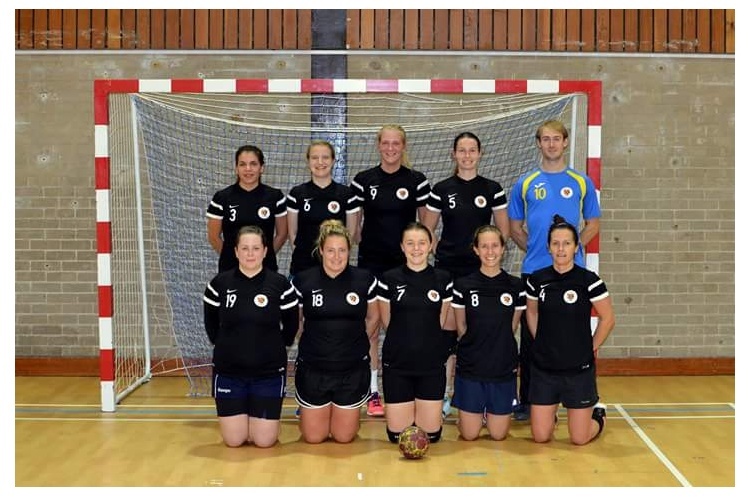 Cambridge moved up one place to sixth in the league after their bottom of the table clash against Peninsula in the Women’s Premier League this weekend, coming away 22-18 winners from their trip to Powerleague Trafford. The two teams were level on points before this match, with Cambridge ahead on goal difference. Both sides knew victory would move them above London Angels - although Angels have two games in hand. Wirral outfit Peninsula, only promoted to the Premier League this year, were narrowly beaten by Cambridge despite reducing a six-goal deficit at half time to four goals by the final whistle. With four first half goals, Nikoletta Rau took Cambridge into a 5-11 lead at half time, with Laura Black netting three times for the home side. In the second half Rau once again led the scoring, a further five goals taking her total to nine for the match. Peninsula’s Jemaine Knott top scored for her side, with six goals in the second half, although it was not enough to claw back that half time deficit. Cambridge will now target Coventry Sharks, their next opponent in three weeks’ time, with whom they are level on points but behind on goal difference. Peninsula has a month before a tough away fixture to table toppers London GD, where they will try to add to their one solitary win from this season.